The purpose of this article is to explore St Gregory Palamas’ use of the analogy of the sun in his work The One Hundred and Fifty Chapters in order to assess its value within the context of his exposition of the various doctrinal themes covered therein. Focusing on those chapters which express the sun analogy, the article will discuss their content in light of Palamas’ overall theological thought. 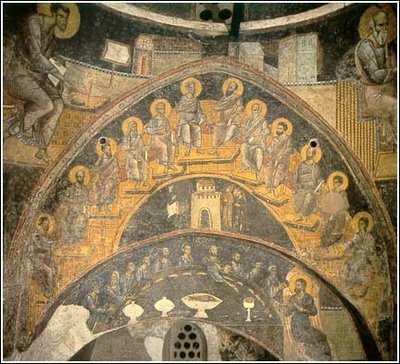 It is hoped that this discussion will provide an accessible insight to the main theological concepts pertaining to the Hesychast Controversy of the 14th century. The divine transcendent being is never named in the plural. But the divine and uncreated grace and energy of God is divided indivisibly according to the image of the sun’s ray which gives warmth, light, life and increase, and sends its own radiance to those who are illuminated and manifests itself to the eyes of those who see. In this way, in the manner of an obscure image, the divine energy of God is called not only one but also many by the theologians. The image of the sun as can be seen from these two chapters serves a dual purpose. Firstly to demonstrate the multiplicity of God’s energies as manifested in the created realm, and secondly to describe the experience of the saints who are united to God. 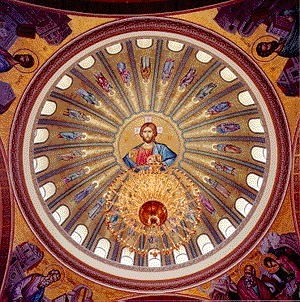 Though the image of the sun is nothing new in Patristic literature, the significance of Palamas’ import is in its serving as the launching pad from which he explicates the distinction between the essence and energies of God and the possibility of an immediate experience of God, above and beyond that which comes through natural contemplation. 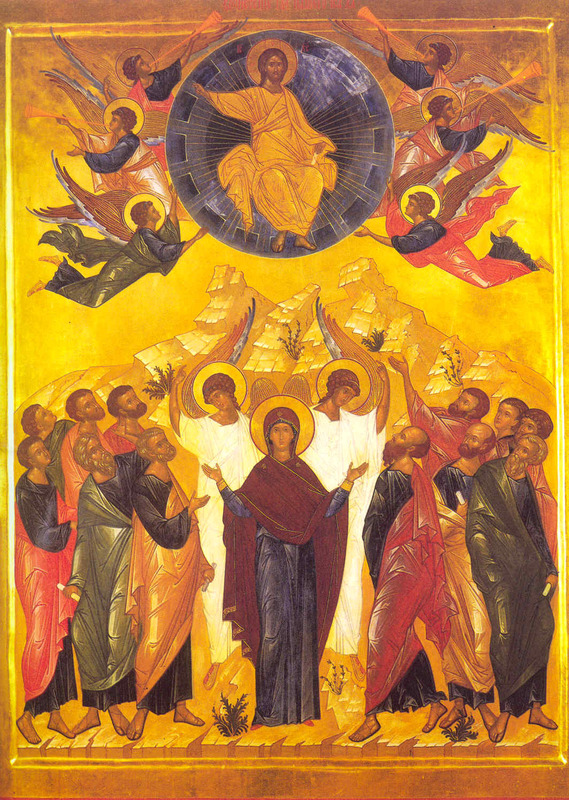 In other words, it is a hermeneutical key through which rational creatures made in the image of God intellectually appropriate the distinctions as they exist in God, and which also provides the basis for appropriating the claim of the saints: ‘”These are living icons of Christ and identical with him more by grace than by assimilation”’. Unlike the Trinitarian image of mind, word and spirit operating entirely on the intelligible level which Palamas uses in chapters 34-37, the image of the sun is more successful insofar as it is an object of perception to both the senses and the mind and because its constituent elements are not merely analogous of the reality they attempt to describe, but rather a true reflection of that reality albeit a faint one. 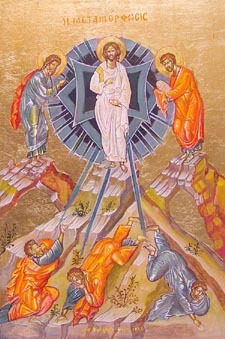 For instance, in chapter 146 Palamas refers to scripture in describing the vision of the saints: “’after six days, he took Peter, James and John, and having ascended Mount Tabor he shone like the sun and his clothes became white as light’”. In the same chapter, quoting Gregory the Theologian he affirms this vision as being both divine and ineffable and as an authentic experience of the kingdom of God: ‘”Light is the divinity manifested to the disciples on the Mount”’. Therefore, the use of the sun as a most appropriate image of God is traditional and not something Palamas has had to devise as part of his doctrine on the energies of God. Returning to the two chapters quoted above I will attempt to draw out their most significant doctrinal themes, while referring to those chapters which bring out the full force of these themes. In no particular order, these themes can be set out as follows: the multiplicity of the uncreated grace and energy of God; union with God as participation in the uncreated energies of God; and the energy of God as a distinct reality in God. If the divine energies have no distinction with respect to one another, then also the creative power is not at all distinct from his foreknowing. Since then God began to create at a particular time, his foreknowledge thus also had a beginning. But how can he be God if he did not have foreknowledge of all things before the ages? There [the three hypostases] the energy is truly one and the same, for the motion of the divine will is unique in its origination from the primary cause in the Father, in its procession through the Son and in its manifestation in the Holy Spirit. Therefore we see that given everything in the Godhead has as its cause God the Father there can only be a single energy common to all three Persons. 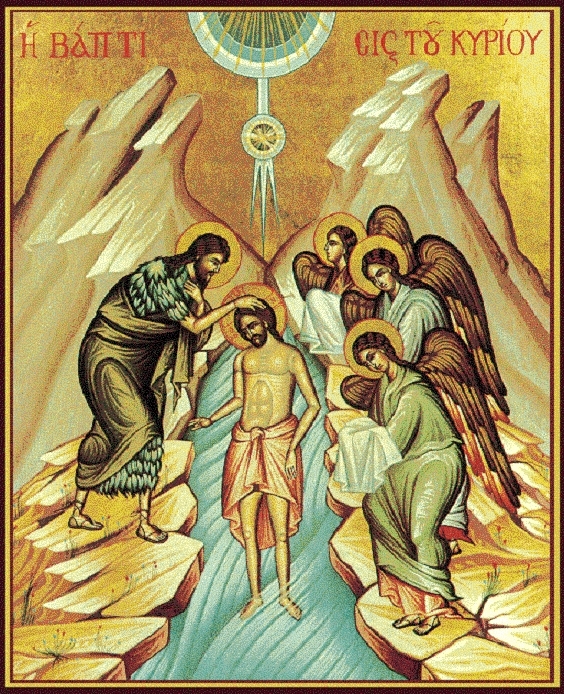 With reference to the uncreated nature of the energies Palamas refers to Dionysius and says that ‘How could the incomprehensible processions and communications of God be creatures, if the incomprehensible communication inheres naturally in the one who bestows it … ’ and ‘they are beyond beings and are exemplars of beings with a pre-existence in God according to a transcendent unity. How then could these be creatures?’. 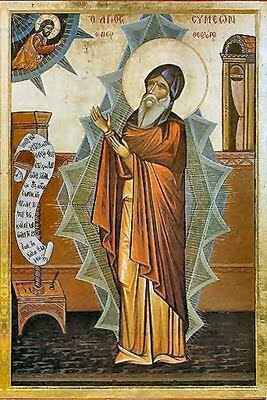 The analogy of the sun is successful in Palamas’ attempt to demonstrate the uncreatedness of the divine energies, for in like fashion the ray which emits warmth and light coinheres in the sun as its sole cause. 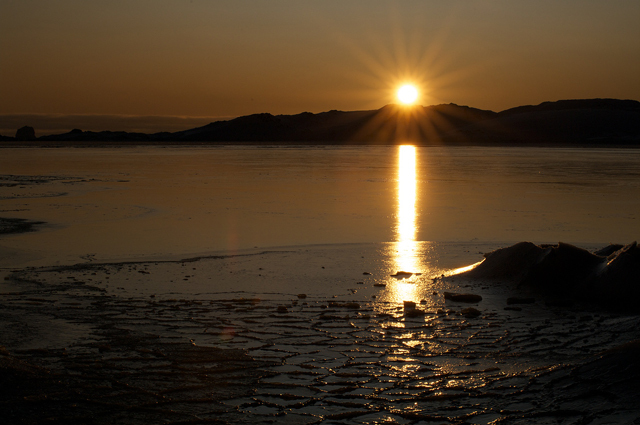 The image of the sun is particularly useful in describing the intimacy the saints have with God. Just as created life experiences the energies of the sun’s ray: warmth, light, life and increase, so too the saints showered with divine illumination have an increase and true knowledge of beings, understanding of mysteries, apprehension of things hidden and a likeness to God. They are united to God in energy and the spirit whereby they cling to God ‘is one with God is called and is indeed the uncreated energy of the Spirit and not the substance of God …’. They are warmed by the garment of glory – the very glory Christ revealed on Mount Tabor whereby those who incline their will towards him ‘live in a divine and supernatural manner, having been deemed worthy of his divinizing grace and energy’. When the Akindynists say that God does not have a natural energy which makes him manifest, and in this respect is distinct from his substance, they are saying that God does not possess individual subsistence and they completely deprive the trihypostatic Lord of real subsistence. God is known with respect to the fact of his existence not from his substance but from his providence. In this the energy is distinct from the substance, because the energy is what reveals, whereas the substance is that which is thereby revealed with respect to the fact of existence. I would like to close this article by affirming the success with which St Gregory Palamas uses the image of the sun as an image to express in an analogous manner the various doctrines which were at the heart of the Hesychast controversy. 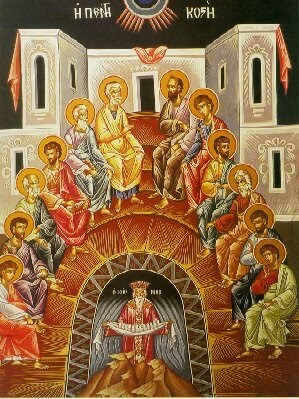 More specifically the value of this image lies in its triadic representation of the doctrines discussed above which comprised the crux of the debate, but more importantly in its ability to ultimately capture the essence of the entire debate between Palamas and his opponents: that a direct and immediate experience with God and the fruits thereof are made available in this present age. Palamas, Gregory. The One Hundred and Fifty Chapters. Translated by Robert E. Sinkewicz. Toronto: Pontifical Institute of Mediaeval Studies, 1988. ———. “Topics of Natural and Theological Science and on the Moral and Ascetic Life: One Hundred and Fifty Texts.” Translated by P. Sherrard G. E. Palmer. In The Philokalia: The Complete Text Volume 4, edited by G. E. Palmer, P. Sherrard and K. Ware. Vol. 4, London: Faber & Faber, 1995. 346-418. ———. The Triads. Translated by Nicholas Gendle. London: SPCK, 1983. Archbishop Chrysostomos. Orthodox and Roman Catholic Relations: From the Fourth Crusade to the Hesychastic Controversy. 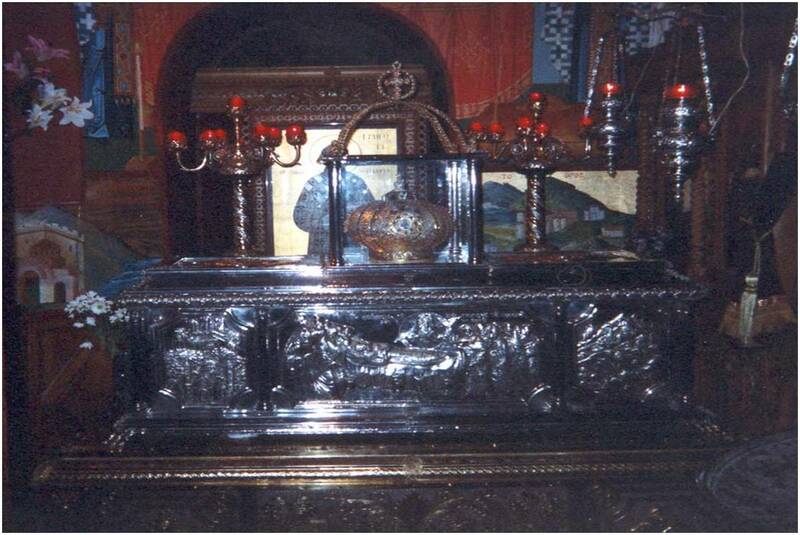 Etna: Center For Traditionalist Orthodox Studies, 2001. Barrois, Georges. “Palamism Revisited.” St Vladimir’s Theological Quarterly 19 (1975): 211-31. Costache, Doru. “Queen of the Sciences? Theology and Natural Knowledge in St Gregory Palamas’ One Hundred and Fifty Chapters.” Transdisciplinarity in Science and Religion 3 (2008): 27-46. Steele, Richard B. “Transfiguring Light: The Moral Beauty of the Christian Life According to Gregory Palamas and Jonathan Edwards.” St Vladimir’s Theological Quarterly 52, no. 3-4 (January, 2008): 403-39. 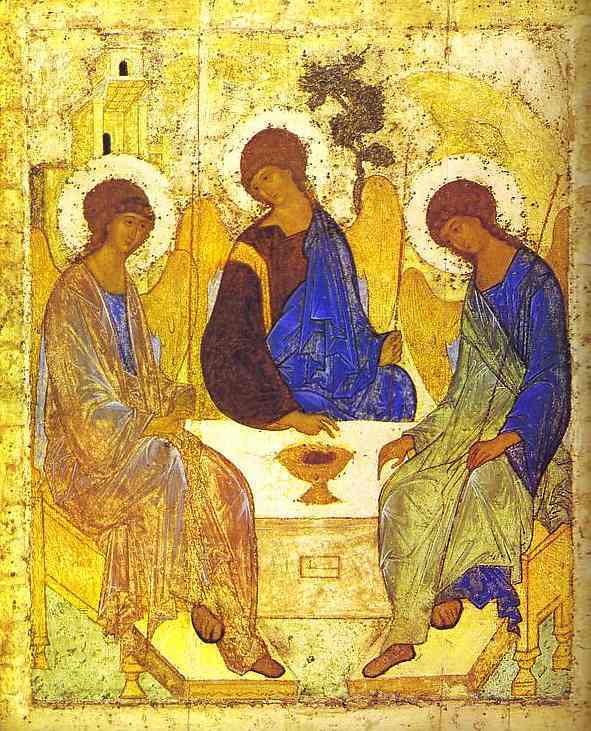 Wilkins, Jeremy D. “”The Image of This Highest Love”: The Trinitarian Analogy in Gregory Palamas’s Capita 150.” St Vladimir’s Theological Quarterly 47, no. 3-4 (2003): 383-412. Meyendorff, John. A Study of St Gregory Palamas. Translated by George Lawrence. New York: St Vladimir’s Press, 1964. This essay is based on Sinkewicz’s translation of the chapters. The edition of the text quoted herein is that of Gregory Palamas, The One Hundred and Fifty Chapters, trans. Robert E. Sinkewicz (Toronto: Pontifical Institute of Mediaeval Studies, 1988). Hesychasm was widely practiced in the Orthodox monastic world long before St. Gregory Palamas. 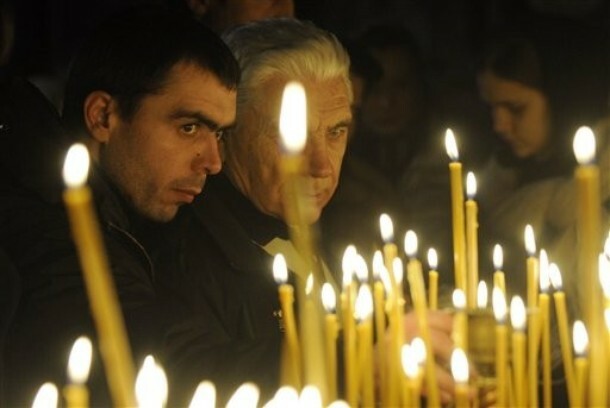 It is a way of life typically centered on the perpetual recitation of the Jesus Prayer: ‘Lord Jesus Christ, Son of God, have mercy on me, a sinner’. The constant repetition of this short prayer enables the spiritual intellect which apprehends divine reality, to descend into the heart of the human being. This in turn cultivates the person’s receptivity to divine grace which ‘bathes one’s consciousness and seeps gradually into the depths of one’s subconscious self’. Hesychasts take St Paul’s admonition to ‘pray constantly’ literally (1 Thess 5:17). The Hesychastic Controversy was arguably the most significant theological dispute in the later Byzantine Empire. Richard B. Steele, “Transfiguring Light: The Moral Beauty Of The Christian Life According To Gregory Palamas And Jonathan Edwards,” St Vladimir’s Theological Quarterly 52, no. 3-4 (January, 2008): 410-11. St Gregory Palamas also uses this image in chapters 77, 92, 94 and 146. Chapter 68 is unique in that it brings to the fore the various nuances of the image. Palamas, The One Hundred and Fifty Chapters, 163. Scholarly opinion varies regarding the thematic grouping of the chapters. 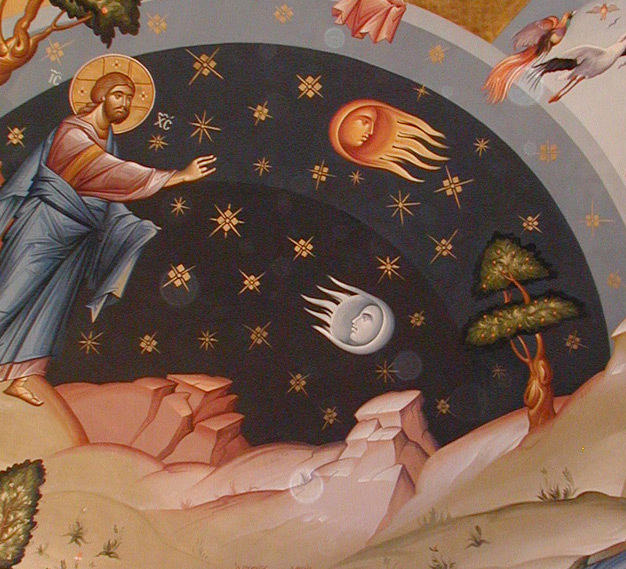 For instance the English translation of the Philokalia divides the content into two large sections, 1-63 (‘a general survey of the divine economy of creation and salvation’; this section comprises eight subsections) and 64-150 (‘a refutation of false teachings concerning the divine light of Tabor and the uncreated energies of God’). Cf. ———, “Topics of Natural and Theological Science and on the Moral and Ascetic Life: One Hundred and Fifty Texts,” in The Philokalia: The Complete Text Volume 4, ed. G. E. Palmer, P. Sherrard, and K. Ware (London: Faber & Faber, 1995). Revd Doru Costache asserts the following scheme: 1-29 (‘dialogue with Greek philosophy and science’); 30-62 (‘aims to synthesise the main anthropological ideas of the Church’) and 63-150 (‘a dense recapitulation and nuanced interpretation of the patristic tradition’).C.f. Doru Costache, “Queen of the Sciences? 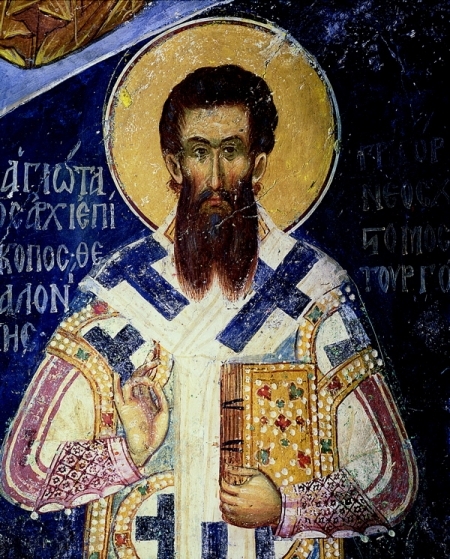 Theology and Natural Knowledge in St Gregory Palamas’ One Hundred and Fifty Chapters,” Transdisciplinarity in Science and Religion 3 (2008): 31-32. Palamas, The One Hundred and Fifty Chapters, 191. Palamas, The One Hundred and Fifty Chapters, 211. 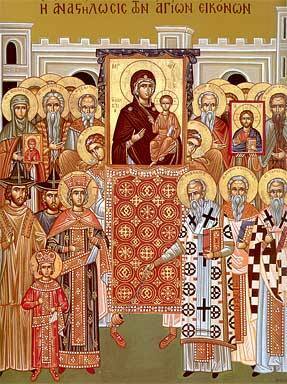 As Wilkins relates, ‘Gregory Palamas develops a striking analogy for the divine processions. The trinitarian image of God in humans grounds a trinitarian theology predicated on the analogy of our intellectual processions. The basic form of the analogy is relatively clear. Father, Son, and Holy Spirit are related on the analogy of mind, word, and love: “Our mind too, since it is created in the image of God, possesses the image of this highest love [i.e., the love which is the Holy Spirit] in the relation of the mind [analogous to the Father] to the knowledge which exists perpetually from it and in it and proceeds from it together with the innermost word.’ Jeremy D. Wilkins, “”The Image Of This Highest Love”: The Trinitarian Analogy In Gregory Palamas’s Capita 150,” St Vladimir’s Theological Quarterly 47, no. 3-4 (2003): 383. Palamas, The One Hundred and Fifty Chapters, 251. First, the example you bring forward shows that you purposely vilify God and His saints .For one applies the word “sun” to the rays as well as to the source of the rays; yet it does not follow that there are two suns. There is, then, a single God, even though one says that the deifying grace is from God. The light is also one of the things that “surround” the sun, yet it is certainly not the essence of the sun. So how could the light which shines from God upon the saints be the essence of God? Does the light of the sun appear only when one sees it, or does it exist before one has seen it? Much more so is this the case with the light which deifies those who contemplate it. ———, The Triads, trans. Nicholas Gendle (London: SPCK, 1983), 87-88. ———, The One Hundred and Fifty Chapters, 199. Barlaam the Calabrian and Gregory Akindynos were the main opponents of St Gregory Palamas. They were both scholastics which had taken the path of humanism and academism. Georges Barrois, “Palamism Revisited,” St Vladimir’s Theological Quarterly 19 (1975): 217. For a comprehensive outline on the prevailing humanism of Palamas’s opponents refer to Meyendorff’s monograph on Palamas: John Meyendorff, A Study of St Gregory Palamas, trans. George Lawrence (New York: St Vladimir’s Press, 1964).